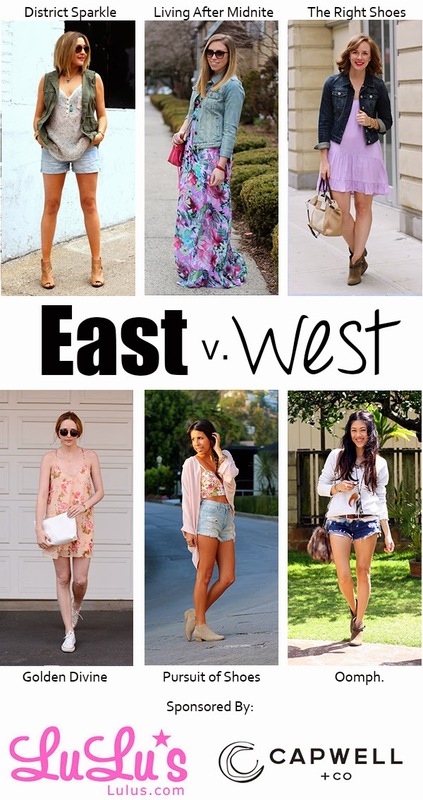 It's week two of East v. West and this week we're showing you what to wear to that music festival you're going to! Festival season is right around the corner with Coachella in just a couple of weeks! I'm definitely more of a country music festival fan so my look took that spin. I'm pairing a flowy sundress with a denim jacket and booties for an easy, effortless combination. And don't forget a cross body bag, you never know when you need your hands free to throw them up in the air and dance a little! What are you wearing to the festivals this year?! i totally wanted that dress!! the color looks great on you!